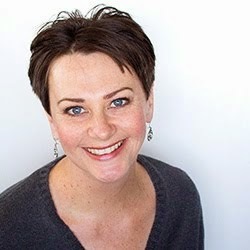 Okay let's assume that you don't want to use your wall space or nooks. 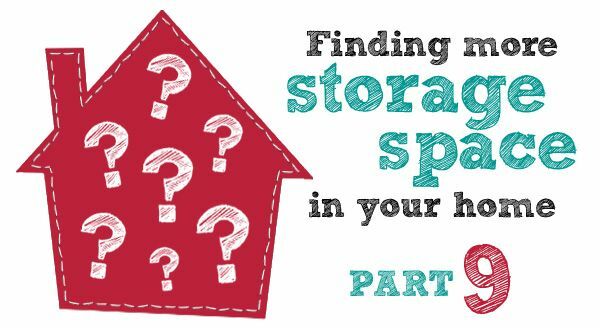 You have kitchen cabinets or cupboards or wardrobes already and just want to make the best use of the storage space you already have. Here is how you can get the best out of those pieces of furniture. Kitchen base cabinets are 60cm deep. I find that this is too deep and things are constantly being pushed to the back and getting lost, or else you need to pull everything from the front to access the item at the back. 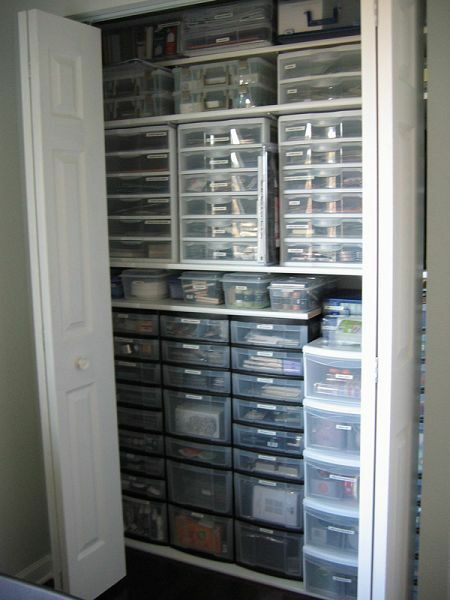 To get around this you could take off the doors and remove the shelves and install drawers. 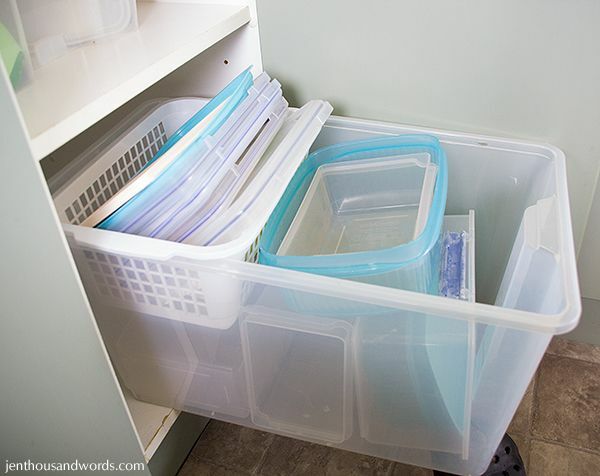 This is easily done if you have a standard kitchen units and you know where they are from (for example Ikea) – just shop in that store for the drawers and fronts and adapt your cabinets yourself. 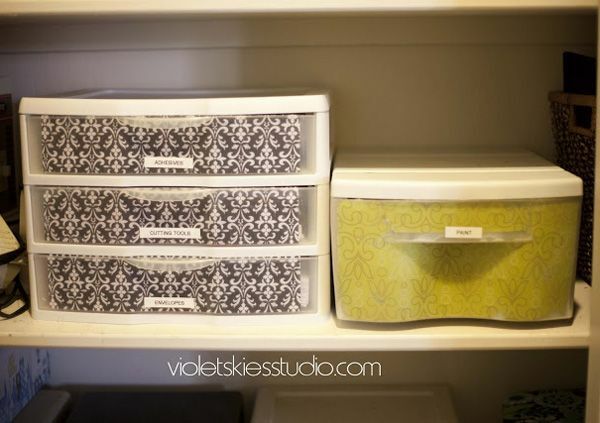 Try to include a mix of deep and shallow drawers. 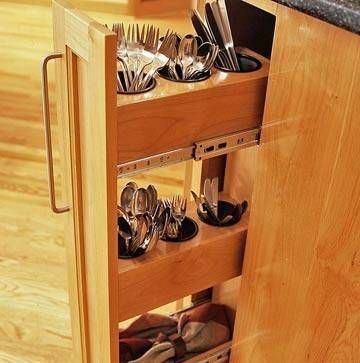 An alternative would be to hire a carpenter to customise the insides of your cabinets. 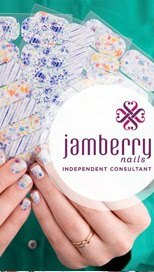 Here are some ideas. 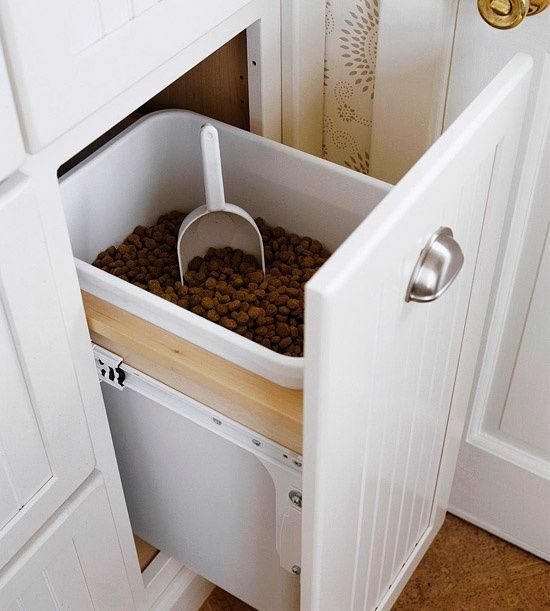 Or take out the shelves and add in some supports (easy to do yourself) for baskets that slide in and out. 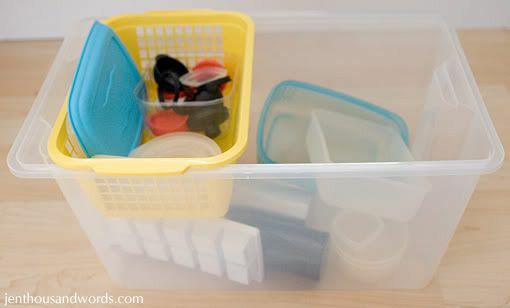 Another budget-friendly drawer idea is to add plastic storage drawers onto your shelves. 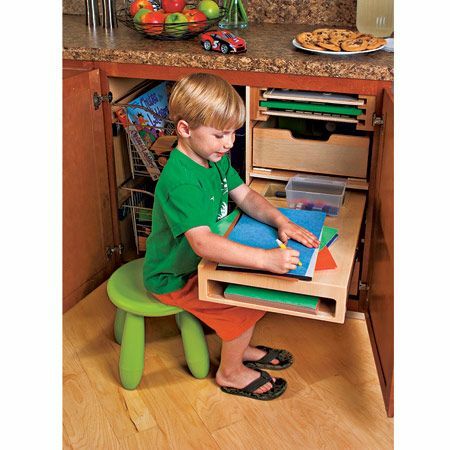 They provide drawer storage and are cheap, available in large and small sizes, easy to change and can be slowly accumulated over time. 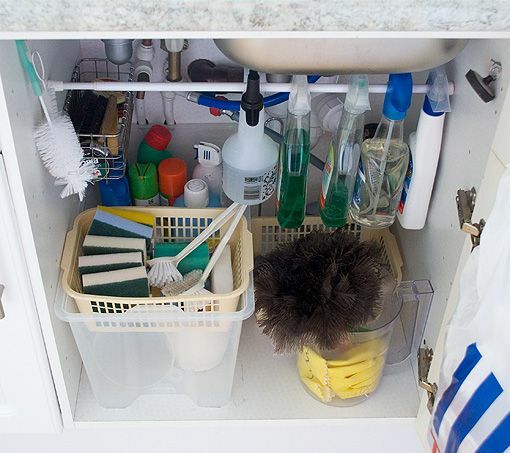 Another advantage is that the entire drawer unit can be removed from the cupboard and moved to where you are working so you don't have to walk back and forth while you are using items from the drawers. 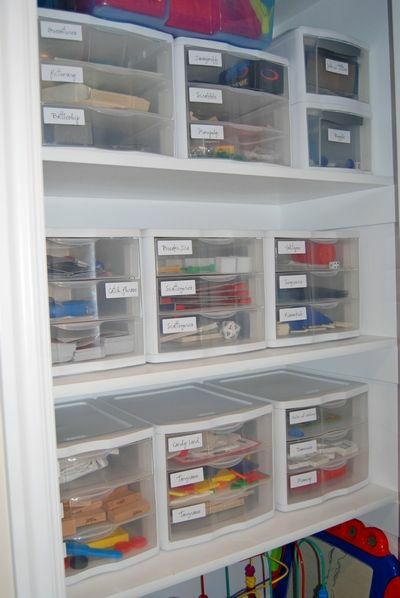 My favourite way of making the best use of my deep cabinets is to add plastic boxes. 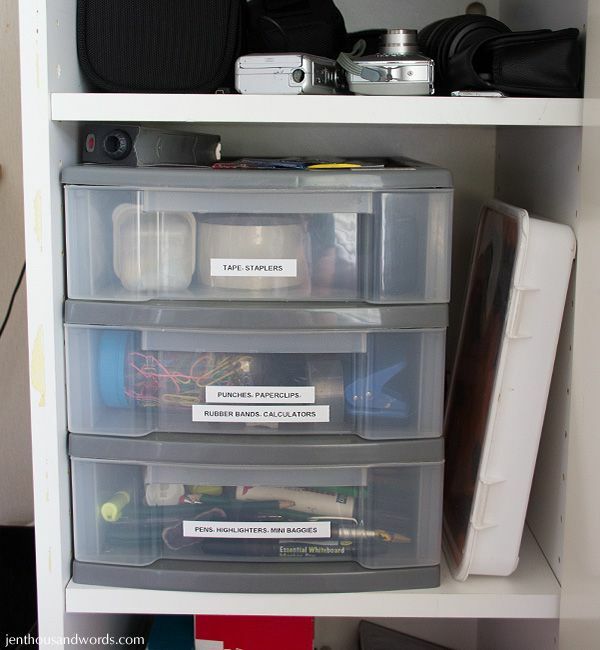 They become drawers and utilise the full depth of the cabinets. 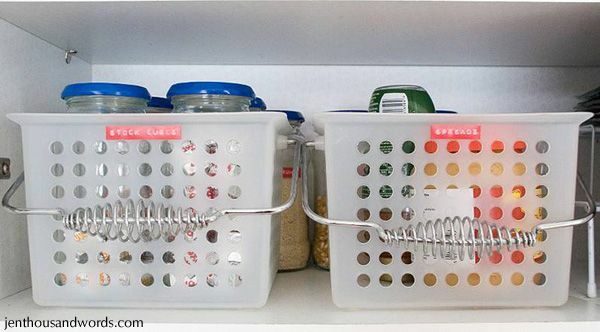 You can also stack little baskets on top for double-decker storage and further categorisation. 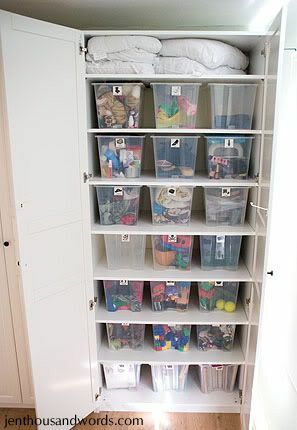 My boxes came from Ikea and you can buy the little plastic baskets at places like dollar stores. 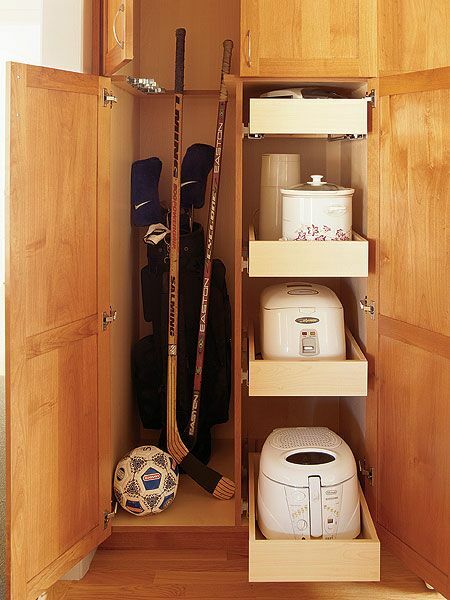 In that last picture you can see another principle for maximising your storage space – doubling up. 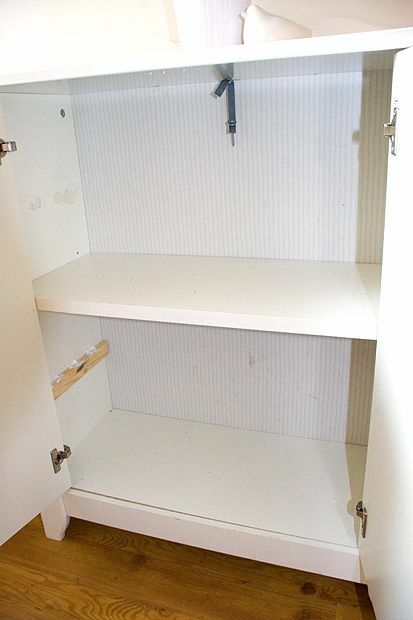 This cupboard originally had half as many shelves and we added extra ones in between the originals. 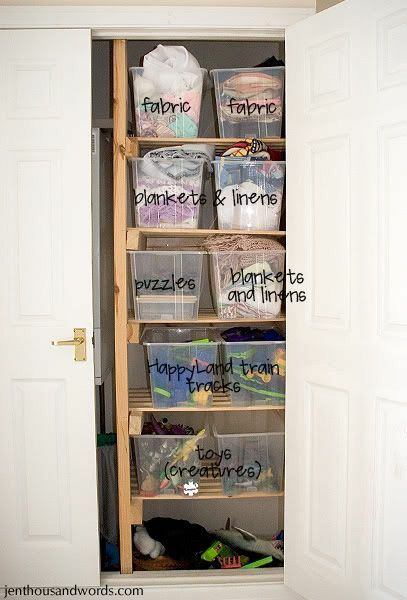 By adding extra hanging rails or shelves you can make use of every square inch of space. We've already touched on the idea with hooks – having two rows of hooks instead of just one. The same principle applies. 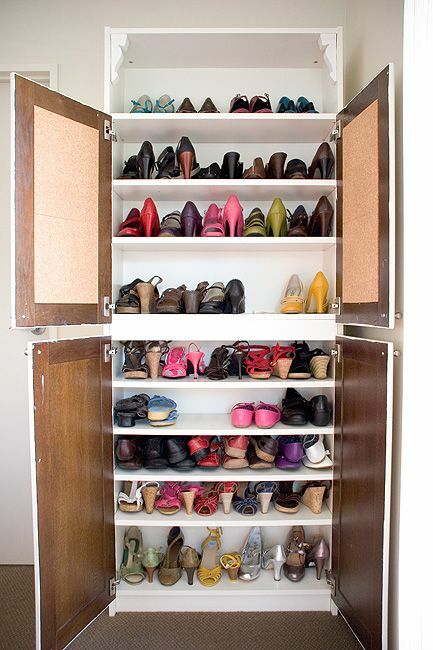 Here is a little shoe cabinet that we used to have in our hallway. It had only one shelf inside. 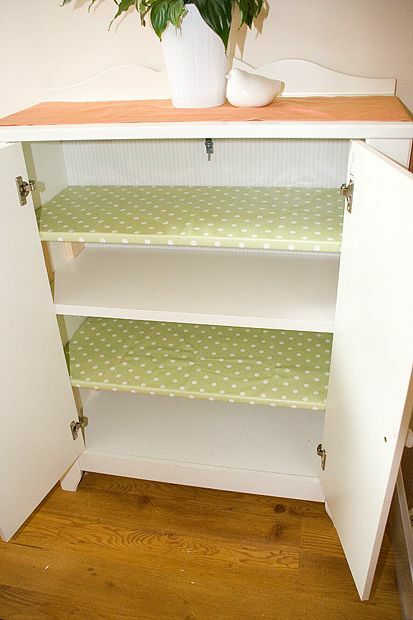 By adding two extra shelves made from scrap wood (covered with polka dot plastic tablecloth) I doubled the storage space inside. 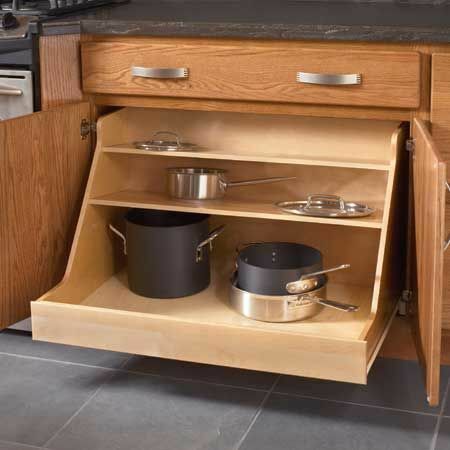 Take a close look at your kitchen wall cabinets. 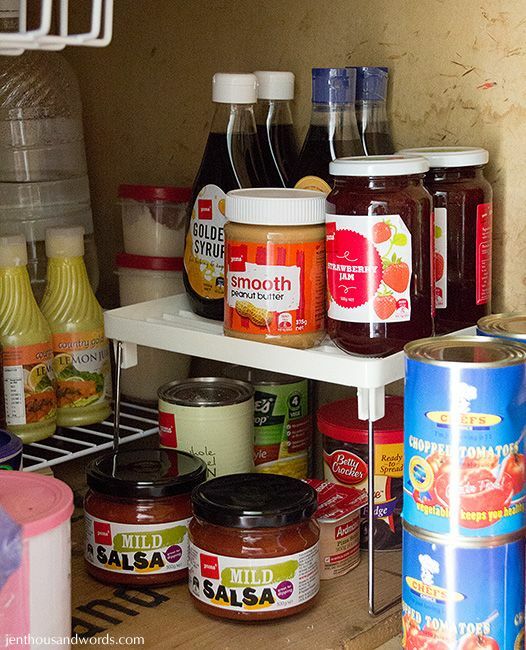 Do you have tall and short bottles stored on the same shelf? 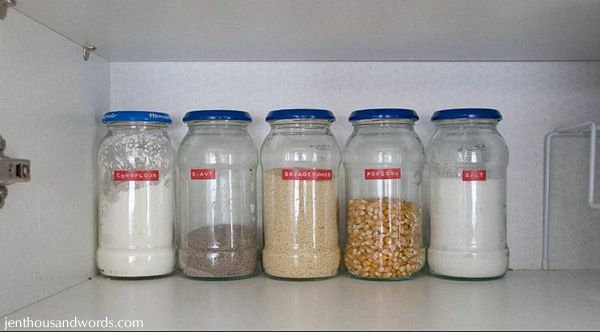 Try placing all tall bottles together on a shelf and then all of the short bottles together on another shelf. 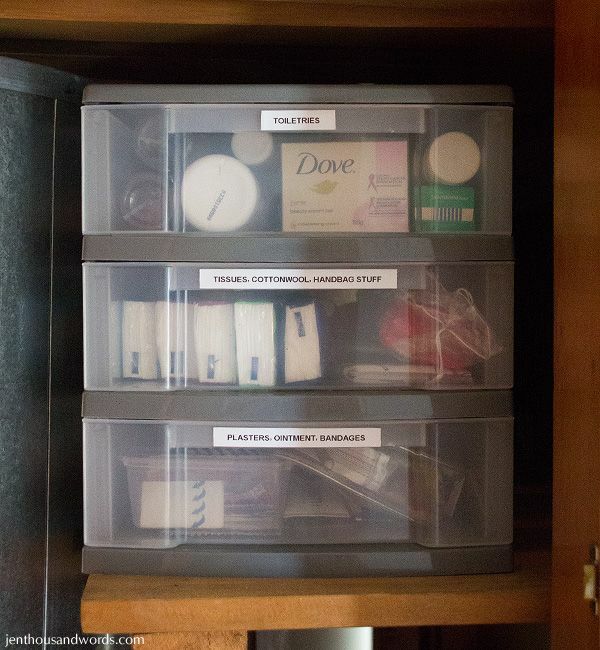 You might find you now have room to squeeze in an extra shelf for more short items. 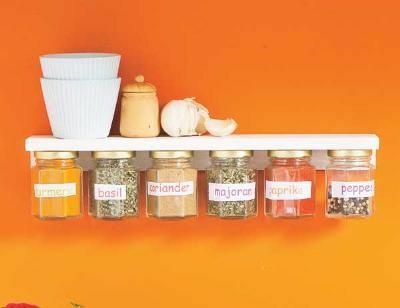 What if you don't want to add extra shelves? 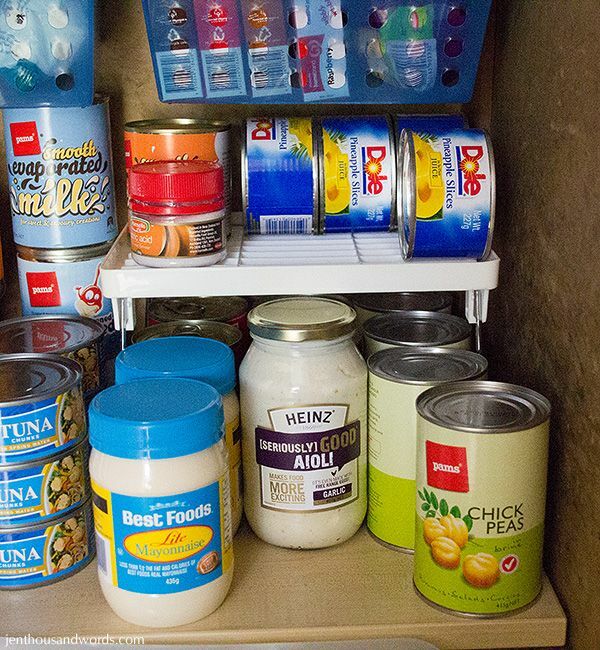 You can use the space underneath a shelf by screwing jar lids to the bottom of the shelf and screwing the jar into the lid as we covered in a previous post. 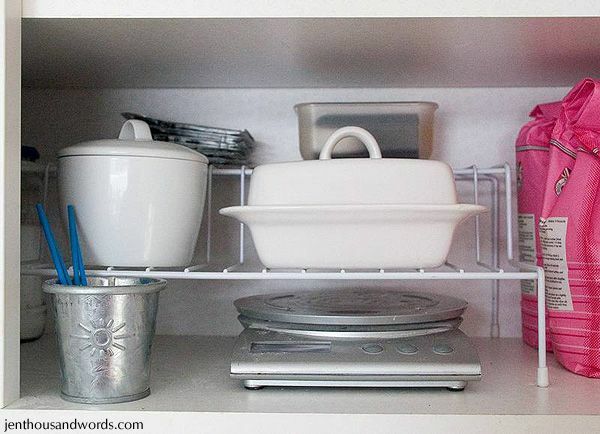 Another way of maximising your wall cabinet space without adding extra shelves is by using risers. 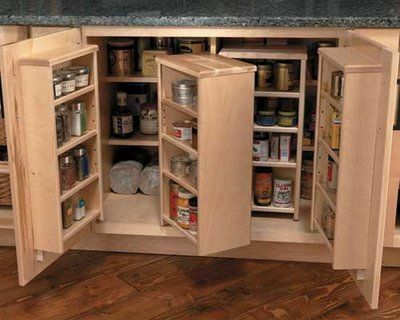 I had one in my kitchen cabinet in a previous home. It enabled me to store my scales flat, as they should be, but without sacrificing the storage space required by the scale's footprint. Rather than just the scales on that piece of shelf I could also store other items there too. 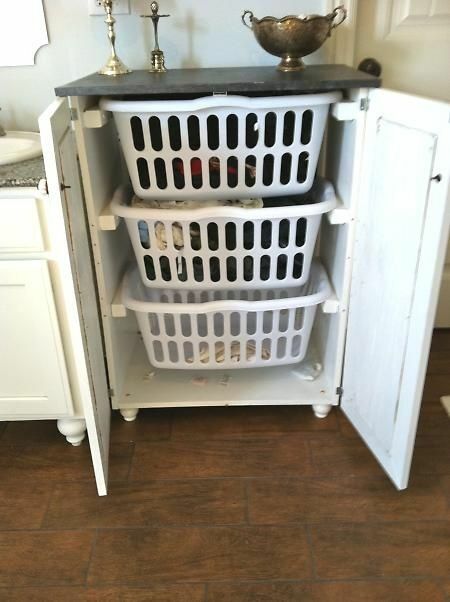 I also used baskets in the wall cabinets. They allowed me to contain like with like and also to easily remove a number of items (4 jars in each basket) in one go to get to the ones at the back. 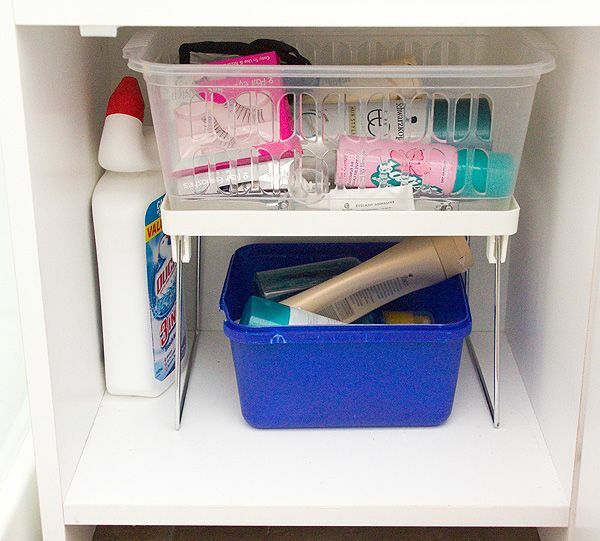 Baskets are great not just for containing items but for fitting more onto a shelf. 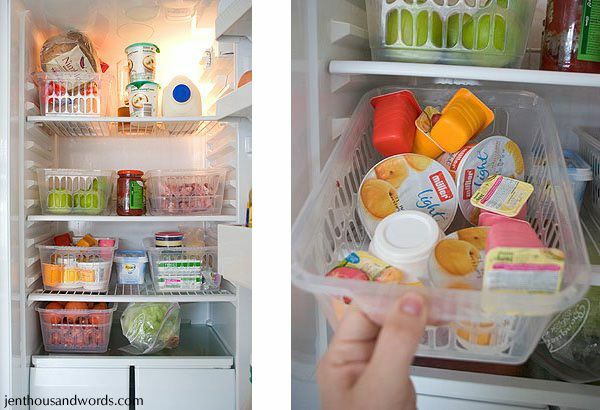 Think about it – if you have yoghurts in your fridge they aren't particularly tall but will take up a lot of shelf space. If you pile them on top of each other it is just an accident waiting to happen. What happens if you want the yoghurt at the bottom? My solution was to organise my fridge with baskets. The baskets keep like with like, they are easier to clean than my actual fridge (the fridge itself stays cleaner for longer) and they maximise the shelf space. (Click here for the full post). 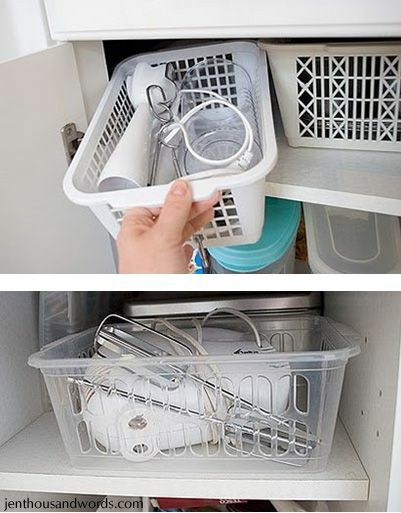 Baskets also help to contain things that have spare parts and cords. 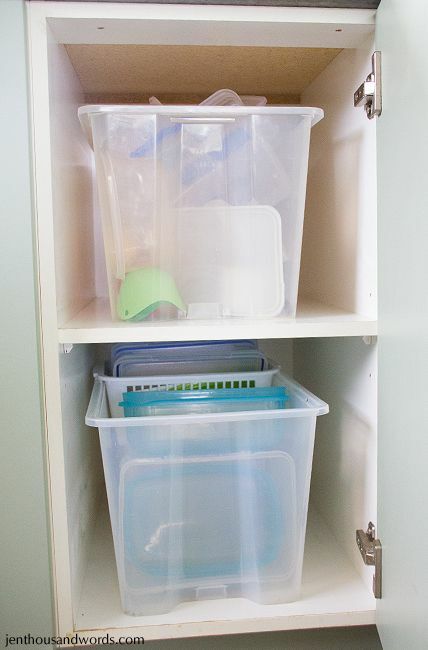 Don't forget the tops of your cabinets and the bottoms too. 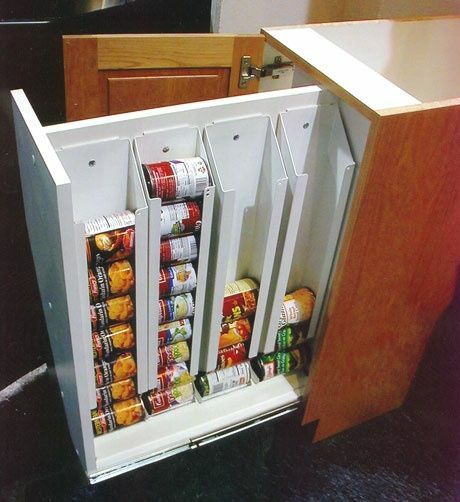 Quite often your plinth / kitckplate can be pulled off and snapped back on again – you can store canned goods and water underneath your cabinets. If you don't want to go that route, have a look up top. 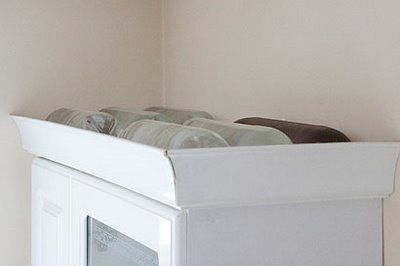 The cabinets in a previous home we lived in had moulding at the top which created a hidden space for me to store water. Think about your wardrobe. If it doesn't go as close to the ceiling as possible, consider selling it and replacing it with a taller model. If you're putting in a new kitchen, consider either installing taller wall cabinets that go right up to the ceiling, or moving your wall cabinets higher and adding a shelf like this homeowner did.